Army Rally online application submitted after the last date and incomplete application will be rejected. Before apply for the job, candidates should go through the eligibility criteria in Indian Army Rally Notification. Candidates from districts Perambalur, Ariyalur, Tiruchirappalli, Karur, Thanjavur, Thiruvarur, Nagapattinam, Pudukkottai, Sivangai, Ramanathapuram, Virudhunagar, Thoothukudi, Tirunelveli, Kanyakumari and Karaikal are eligible to take part in the rally. Selected candidates will be appointed as Soldier Technical, Soldier Technical (Amn/Avn), Soldier Nursing Assistant, Soldier General Duty, Soldier Clerk/ Store Keeper Technical and Soldier Tradesman. Soldier Technical – 10+2 / Intermediate Examination pass in Science with Physics, Chemistry, Maths and English with 50% marks in aggregate and 40% marks in each subject. Soldier General Duty – 10+2/Intermediate pass in Science with Physics, Chemistry, Biology and English with 40% marks in compulsory subjects and 50% marks in aggregate B.Sc Degree (Botany/Zoology/ Bio Science) and English (simple pass). Stipulation of marks laid down at 10+2 level will not be applicable for B.Sc degree. However, the candidate should have studied all the four specified subjects in Class XII also. Soldier Tradesman – 10th Pass with 45% marks in aggregate and minimum 33% marks in each subject studied in matric/10th/SSLC level, without mentioning in any specific subject (OR) minimum D Grade in individual subjects and overall aggregate of C-2 grade or 4.75 Points for Board with grading system. (b) Stipulated marks percentage for 10th pass will be waived off for candidates having 10+2 and higher education qualification. Soldier Clerk/ Store Keeper Technical – 8th, Class Pass. For House Keeper, Mess Keeper & Syce. (ii) 10th Class Pass. For Chef, Washerman, Dresser, Steward, Tailor, Artisan (Wood Work), Artisan (Metallurgy), Support Staff(ER), Artisan (Construction) and all other trades 10th simple pass/ITI qualification in respective trades. Only candidates who have undertaken class X Board Exam would be considered. Soldier Technical – 17 years 06 months to 23 years. Soldier Technical (Amn/ Avn) – 17 years 06 months to 23 years. Soldier Nursing Assistant – 17 years 06 months to 23 years. Soldier General Duty – 17 years 06 months to 21 years. Soldier Tradesman – 17 years 06 months to 23 years. 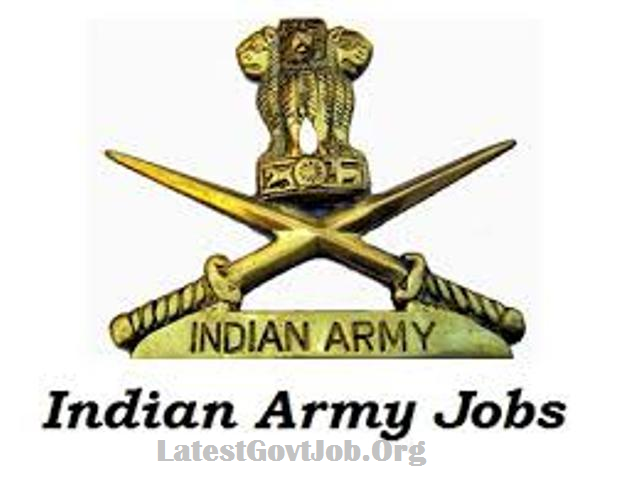 Soldier Clerk/ Store Keeper Technical – 17 years 06 months to 23 years. After enrolment a soldier is entitled to get approximately Rs 30,000/- per month as per 7th Pay Commission and allowances as admissible along with other facilities such as free ration/ ration money, clothing, medical for self and accommodation, Railway warrant for self and dependents, Group Housing Scheme, Army Group Insurance Scheme of Rs 40,00,000/-. The other privileges are fully paid Annual Leave up to a maximum of 60 days, Casual Leave up to a maximum of 30 days, Medical Leave as recommended by Medical authorities and Leave Encashment up to 30 days in a calendar year and maximum 300 days in service.